I have never loved a salad as much as this one. The texture and form mimics a bowl of pasta and the flavors are in the centre of my food happy place. THIS is my kind of salad. It’s easy to make and satisfying. 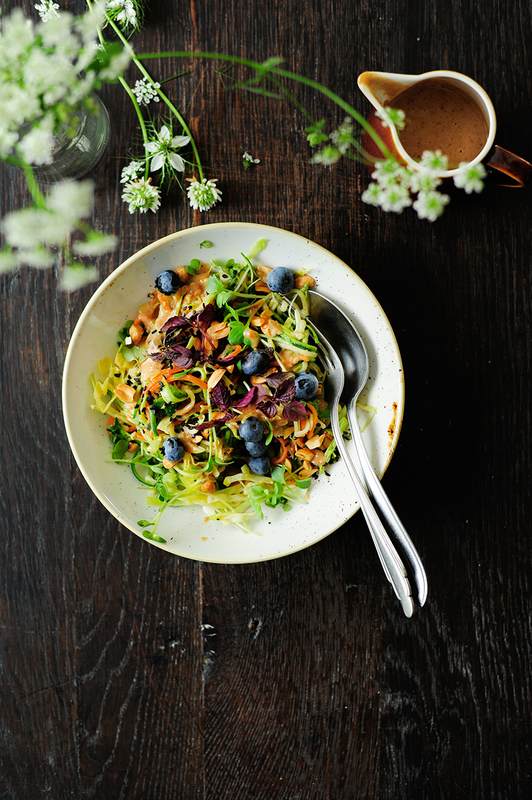 Just give the zucchini and carrot noodles a quick sauté, dress them up with tahini sauce and a handful of roasted peanuts. It’s a wholesome, veggie-packed meal, that takes no more than 15 minutes to prepare. Heat the oil in a skillet, add zucchini and carrot. Toss for 3 minutes until soft. In the meantime, season with pepper and a pinch of salt. Combine the peanuts with coriander seeds, sesame seeds and salt. Toast for 4 minutes in a dry frying pan. In the meantime, pulse the sauce ingredients in a food processor until smooth. 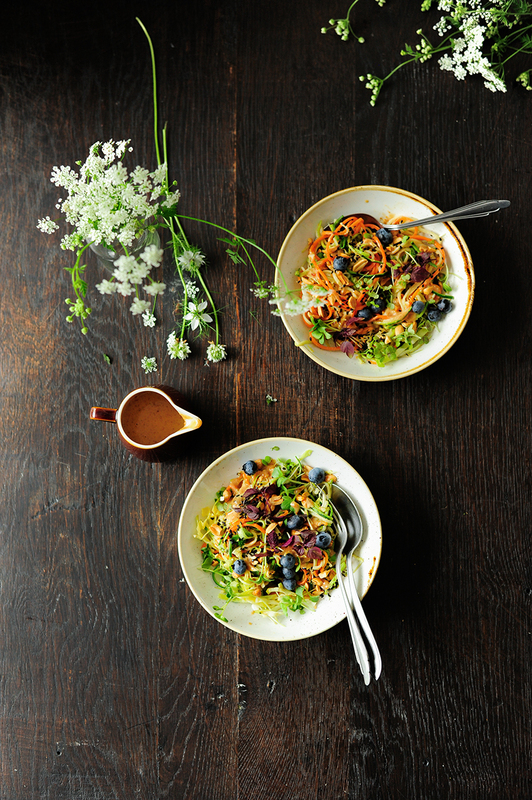 Combine zucchini and carrot noodles with cabbage, micro greens and tahini sauce. 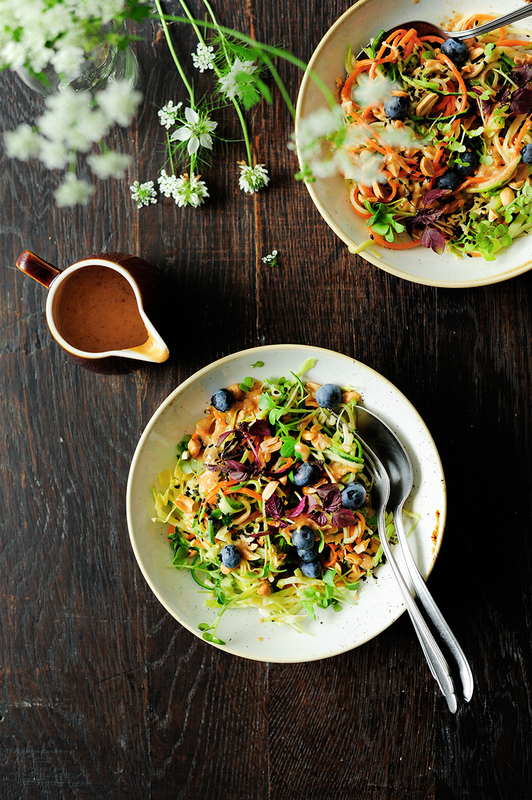 Sprinkle with roasted peanuts and blueberries, enjoy!